The Oregon Health Division (OHD) has once again released its official annual report on the practice of physician-assisted suicide, and, once again, flaws in the reporting system as well as incomplete data raise serious questions regarding the OHD’s assessment of the induced-death practice. Oregon is the only state in the U.S. to legalize assisted suicide. In 1997, voters approved the Oregon Death with Dignity Act, the law which permits doctors to prescribe lethal drugs to patients with supposedly six months or less to live. The OHD obtains all its information on patients who requested assisted suicide from physician reports, physician interviews, and periodic reviews of death certificates. The actual patients, their families and caregivers are not interviewed. Since the law does not penalize doctors who fail to report assisted suicide deaths and OHD has no authority to enforce the reporting requirement, there is no way to know the exact number of deaths and the actual circumstances prompting an assisted-suicide request. One of the more significant findings in the 2000 report deals with the patients’ reasons for wanting an induced death. A clear majority (63%) said that they feared becoming burdens on their families, friends, and caregivers, compared to 26% in 1999. Also, for the third straight year, fears about losing autonomy, the ability to participate in enjoyable activities, and control over bodily functions topped the list of reasons for assisted suicide. Most revealing is the fact that only five patients (19%) in 2000 were referred for psychological evaluation. Recent studies have found that between 59-100% of death-requesting patients have a treatable depressive disorder and that psychiatric evaluations are key to determining a patient’s mental fitness in opting for euthanasia and assisted suicide. [Ganzini, Journal of Pain & Symptom Management, June 2000, pp. 474-478; Bannink et al., The Lancet, 12/16/00]. A cooperative psychologist was located, but, because Joan was not able to travel to his office, he didn’t see her in person. Instead, he sent her the Minnesota Multiphasic Personality Inventory test to take. Joan’s children had to take turns reading the “hundreds” of questions to her and writing the answers. Many of the questions “were downright loony,” daughter Lisa said. “We were just cracking up.” One question they were very careful about answering was: “Are you ever depressed?” “You don’t want to come across like everything is coming up roses,” explained Gary. Based on those responses, the psychologist determined that any depression Joan experienced was related to her illness and a completely normal response—a conclusion which sealed her fate. With her assisted death now legally approved, Joan died on February 3, 2000. [Mail Tribune News, 6/25/00 & 6/26/00] None of the details surrounding Joan’s prior suicide try or her “psychological evaluation” are cited in OHD’s 2000 report. Brain damage: Grounds for death penalty? Someone who is “brain dead” cannot maneuver a manual wheelchair to a desired destination, write the letters in his or her name, paint pictures, play games, or change TV channels using the remote control. But Robert can. Yet Rose wants Robert, who receives his nourishment through a tube, to die and is fighting in court to have his food and fluids withheld. This landmark case—which could directly affect the lives of all cognitively disabled persons—is currently before the California Supreme Court and is likely to end up in this country’s highest court. Recent media coverage has often taken its cue from Rose, using demeaning language to describe Robert. In addition to the already mentioned Time article, ABC’s Good Morning America featured a one-sided interview with Rose in January. Attorney Janie Hickok Siess, who represents Robert’s mother and sister in their battle to safe Robert’s life, wrote a detailed letter to the morning TV show rebutting the various biased, disparaging, and inaccurate statements contained in the interview. That letter is reprinted below in this Update. Tina Cartrette, 29, has cerebral palsy and is mentally retarded. She has lived in care facilities since the age of five. Staff at her most recent facility say that Tina could recognize her name and track their movements with her eyes. She gets most of her food and fluids by tube. Last year, when Tina contracted a urinary tract infection, she ended up in the hospital with a high fever that triggered seizures. The drugs used to stop the seizures also depressed her breathing, so she was temporarily placed on a respirator. Once the crisis was over, her mother and legal guardian, Dianne Arnder—who lives 100 miles away and only visits Tina two or three times a year—gave the okay to take Tina off the respirator. When Tina began to breathe on her own, her mother then ordered that her food and water be withheld. Tina is neither terminally ill nor in a persistent vegetative state. Disability rights activist Diane Coleman, head of Not Dead Yet, wrote an article on this case that was published in the Charlotte Observer. Her article is reprinted on page 4 of this Update. Courts should not allow guardians of conscious, incompetent individuals to starve them to death. Should a guardian be permitted to withhold food and water from a conscious but incompetent person who is not terminally ill and did not ask to die? Diane Arnder, mother of 29-year-old Tina Cartrette, has asked the North Carolina courts to give her the right to kill her daughter by removing a feeding tube that has provided the majority of her nutrition for several years. Cartrette has life-long physical and cognitive disabilities — disabilities with which many are unfamiliar, since medical professionals have so long recommended institutionalization as the treatment of choice, keeping severely disabled people out of sight and out of mind. For those more familiar with disability issues, the media reports of Tina Cartrette’s situation leave many unanswered questions. Accepting that Dianne Arnder loved her daughter the way most parents do who institutionalize their children, what kind of love spans the distance between them now, after 25 years living apart? Did Arnder ever become aware of Geraldo Rivera’s groundbreaking expose on substandard care, even atrocities, committed against residents of institutions? Did she hear about the many states that have closed all their institutions and moved residents into community settings with in-home support services? How often did Arnder visit her daughter? Often enough to know whether poor quality of care might explain her joint contractures, and her recurring infections? Often enough to participate in federally mandated meetings to plan her care and discuss her options to move into a community setting? Though many parents fight the system to enforce their child’s rights, perhaps Arnder was kept uninformed. Her words suggest that she accepted the stereotypes about her daughter, and the antiquated institutional system, without question. But sympathy for the mother, or ignorance about disability, institutions and their alternatives, should not confuse us about the central issue in this case: Is North Carolina prepared to throw out current legal constraints on non-voluntary euthanasia? Such a change could endanger hundreds of thousands of older and disabled people whose families quietly wish they would hurry up and die, including those of us, like Tina Cartrette, who otherwise have years of life ahead of us. During the 1980s, a right to refuse unwanted extraordinary or “heroic” life-sustaining medical treatment was legally defined, a right initially to be applied only to conscious people deemed “mentally competent.” The dangers of allowing other decision-makers — insurance companies, physicians, family members, state guardians — to engage in passive euthanasia seemed obvious at first. Then, in 1990, in a case upholding a Missouri state law that placed limits on the rights of other decision-makers, the U.S. Supreme Court said that states have the right to ban, or legalize and regulate, such surrogate decision-making as a matter of privacy. Like most states, North Carolina has decided that food and water by tube constitutes “medical treatment” that can be refused by guardians “on behalf of” an incompetent individual. This has been allowed even though many people in nursing homes and institutions are on tube feeding because there aren’t enough staff to feed them, rather than for medical reasons. But the law limits this narrow right to kill by starvation to (a) people who used to be deemed competent and who legally documented or clearly expressed their wish to reject tube-feeding, or (b) people who were never deemed competent who are terminal or permanently unconscious. Of course, many well-meaning family members may only wish for their ill or disabled relative to be released from suffering. But a major study by the National Center on Elder Abuse estimated 450,000 cases of elder abuse and neglect in 1996, and the majority of known perpetrators were close family. It doesn’t take a Ph.D. in psychology to recognize just whose misery some family members would like to put their older or disabled relative out of. Add to that a prevalent law enforcement problem: a disturbing pattern of societal failure to identify and prosecute elder homicide. Are the North Carolina courts being asked, in effect, to decide that some older and disabled individuals are not “persons” entitled to equal protection of the law? It’s bad enough that disabled individuals and families are not getting the in-home support services they need, while the government pays more, on average, to keep individuals in nursing homes and other institutions, often against their will. It’s bad enough that insurance coverage is frequently denied for necessary care, and that doctors don’t know or don’t disclose important information to patients and families, including the physician’s financial conflicts of interest in managed care. It’s bad enough that medical forms are boilerplate, that doctors’ predictions are unreliable, and that many people’s legal rights in the health care system are violated every minute of every day without consequence. What may look like compassion to some people looks more like contempt to many of us with disabilities who have too often heard that someone else thinks we would be better off dead. 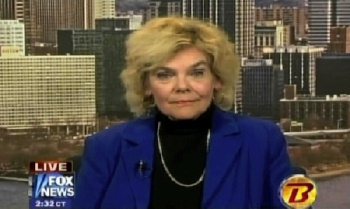 Diane Coleman is the president of the national disability rights group Not Dead Yet. Her article appeared in the Charlotte, NC, Observer (1/10/01), and is reprinted here with permission. On Monday, January 22, 2001, ABC’s Diane Sawyer interviewed Rose Wendland about her husband, Robert Wendland, on “Good Morning America.” Rose is seeking to dehydrate her disabled husband to death. The following is a letter sent by Janie Hickok Siess to ABC after the broadcast. Siess is the attorney for Robert’s mother, Florence Wendland, and his sister, Rebekah Vinson. Florence and Rebekah are seeking to protect Robert from death by dehydration. Having now had a chance to watch the story you ran this morning a couple of times, I feel compelled, as Florence Wendland’s counsel for the past 5 1/2 years, to respond. I was dismayed that, once again, you allowed Rose Wendland the chance to speak with you live, rebutting my client’s assertions, yet denying my client the chance to respond to Rose’s commentary. Even more shocking, frankly, is the fact that you chose to spotlight the children of Robert Wendland without thoroughly researching and understanding the facts underlying this case. There is no such thing as a “minimally conscious state.” The undisputed evidence adduced at trial demonstrated that the term “minimally conscious state” was made up by a group of physicians, bioethicists, et. al. who convened in Aspen, Colorado for the purpose of discussing some of the issues this case presents. Undisputed testimony from the experts called by Rose and Robert’s court-appointed counsel showed that the term “minimally conscious” is neither accepted nor endorsed by the medical community, is not found in any medical journals or textbooks, is not a teaching term. More importantly, when asked on cross-examination about the protocols, guidelines, and criteria for withdrawing food and fluids from patients in the purported “minimally conscious state,” those experts admitted that no such protocols, guidelines or criteria exist. In fact, the one unpublished article they produced, discussing the “minimally conscious state,” made clear that there was no consensus about withdrawing food and fluids from such patients and the issue required significantly more study because of the distinctions between patients they identified as “minimally conscious” and those who are in a persistent vegetative state or permanently unconscious. The prime distinction is, of course, that patients such as Robert are conscious and can feel pain. Indeed, the medical protocols cited in support of those experts’ endorsement of Rose’s proposed course of action, i.e., depriving Robert of food and fluids to the point of death, were for patients in a persistent vegetative state! On December 9, 1997, the San Joaquin County Superior Court, the Hon. Bob W. McNatt presiding, decided that Rose had not met her burden of establishing, by clear and convincing evidence, that it was commensurate with Robert’s best interests to die and that he had expressed a wish to die under the circumstances in which he now finds himself. The Third District Court of Appeal reviewed three issues in the case. It upheld Judge McNatt’s ruling on 2 key points: That Rose bore the burden of proof and the appropriate evidentiary standard to be applied is that of clear and convincing evidence. The Third District Court of Appeal did not decide that Rose could go ahead and order the removal of Robert’s feeding tube. Rather, it stated that Judge McNatt had formulated an incorrect standard by which to judge Rose’s decision to bring about the end of Robert’s life and then ordered us to return to the trial court to complete the trial which had been aborted on December 9 when Judge McNatt granted my clients’ motion for judgment. In layman’s terms: I never put on my case. Opening argument for Florence (and her daughter Rebekah, who is also a party to this proceeding) was deferred. I never made that opening argument, I never called a witness. I didn’t have to, because Judge McNatt ruled that there was no necessity for it: He determined that Rose could not win, irrespective of the presentation of my case. Thus, the Third District Court of Appeal ordered us to begin the trial with my opening argument and the presentation of my clients’ case in chief. Nobody disputes that, for the first 16 months following Robert’s accident, Rose and the children kept vigil at the hospital. `I found it particularly telling, however, that Ms. Sawyer did not query the children about how often they have visited their father since then. I am not in receipt of any information which leads me to believe that the children have resumed visiting their father. On the contrary, I am informed that they never resumed their visits. That means, for all practical purposes, that the children have not maintained a presence in their father’s life since 1996. This really demonstrates the tragedy of this case. And the tragedy relates not to any “decision” about what course of action is appropriate for Robert, but, rather, to the unrealistic expectations of Rose and her children. Why did no one at the hospital prepare Rose and the children for the fact that 42 year old adults who have been comatose for some 16 months do not simply “come alive” —except perhaps in Hollywood? Rose and her children were deeply disappointed when they learned that their husband and father was a changed man. Permanently changed. And because of their deep-seated prejudices and fear about living life in a disabled state, they would rather end Robert’s life than accept him as the man he is now and the man he will always be. Moreover, Katy and Rose both testified at trial that the children received no professional assistance with dealing with their grief about the change in their father. Rose did not see to it that they received grief counseling so that they could work through their anger about Robert’s tragic accident and arrive at a place of peace and acceptance. remember that Robert was drunk at the time of the accident. His blood alcohol was .16 — twice the legal limit in California. This statement boggles the mind, frankly. Robert DID wake up, following a 16 month coma. Robert is conscious, alert, interactive with his environment. He responds to commands. He enjoys participating in activities in the hospital’s multipurpose room, including painting pictures and bowling. He is now learning to golf. But I guess it really shouldn’t come as a surprise, given that Rose told CNN’s “Burden of Proof” one week ago that Robert is “brain dead.” She also testified at trial that, if Robert’s feeding tube were pulled, he would immediately slip into a coma and just drift away peacefully in 3-4 days!!! At trial, Katy testified that she had no understanding of her father’s capabilities. For instance, until she appeared to testify that day in November 1997, she was completely unaware that Robert operated a manual wheelchair by himself. I cross-examined Katy about why she hadn’t educated herself about and kept abreast of her father’s accomplishments. She stated that they didn’t matter and were “nothing” because her father wouldn’t want to live in his current state. Initially, Rose claimed that Robert had deliberately dislodged his feeding tube on several occasions as a way of signaling his desire to die. Query: If Robert has sufficient cognitive function to express a desire to die, isn’t he also competent to make his own decisions? Rose changed the story later, deleting the part about Robert trying to communicate his desires, but leaving in the allegation that Robert deliberately dislodged the tube. The reality is that Robert was by himself in his room on each occasion when his feeding tube became dislodged. Robert may have accidentally removed it — feeding tubes just come out on their own sometimes when a patient moves about. However, there is absolutely no evidence to substantiate an allegation that Robert dislodged the tube — deliberately or accidentally. Only part of Robert’s family desire to bring about his death by dehydration and starvation: His wife, 3 children and 1 brother, Michael Hofer. The remaining members of Robert’s family vehemently oppose the idea of ending Robert’s life. Those persons include his other siblings (a total of 6), his mother, his many nieces and nephews, brothers-in-law, etc. 10. Rose and the children claim that Robert doesn’t recognize them. It would be indeed remarkable if a brain-injured person such as Robert were able to recognize people who haven’t visited him on a regular basis (if at all) since 1996. Rose has openly told the media that she only goes to the hospital for the purpose of conducting interviews or meeting with Robert’s physicians. And when she does go, she only stays for a few minutes. Sometimes he cries when Florence tells him that it’s time for their visit to end and she must go home. She calms him down by promising that she will be back to see him very soon and will spend time reading, singing, wheeling him around the hospital corridors (Rose refuses to allow Robert to go outside and get fresh air), etc. The undisputed testimony at trial from Robert’s physicians and caregivers was that Robert also recognized them because they were with him on a regular basis. Robert has continued to take care of his children, despite his injuries. He has provided for them financially in the form of Social Security and other benefits. Those benefits most likely helped his 2 daughters attend college. Thus, any contention that Robert can’t “take care of his children” is patently ridiculous. Dutch general practitioner Wilfred van Oijen has been found guilty of murder in the death of a 84-year-old patient, yet, like in all previously “prosecuted” euthanasia cases in the Netherlands, the court handed down no penalty. The woman, van Oijen’s patient for 17 years, had cardiac problems, osteoporosis, and had been bedridden for several months. According to news accounts, the woman’s bed was soaked in urine; rotting flesh on her hip was open to the bone; she was bleeding from her vertebrae; and pus was oozing from large bed ulcers on her skin. The stench in her room was described as unbearable. She was obviously the victim of serious neglect. The woman’s daughters asked van Oijen to end their mother’s suffering. He complied by injecting the woman with the drug alloferine which stopped her breathing. He claimed that he was just providing the patient palliative care, but expert witnesses testified that his choice of drug did not qualify as palliative treatment. They said the patient had been euthanized. According to the court, van Oijen had never discussed euthanasia with the patient; euthanasia had never been requested by the patient; and van Oijen neglected to consult with a second doctor before killing the woman. He also lied on the death certificate, saying that the woman died of natural causes. Christian Democratic Party spokeswoman Yvonne Timmerman also sees the case as a factor in the Senate vote. “People will think further about the issue because the case is an example of the absence of a request to die, but has nevertheless been ruled as an act of euthanasia,” she explained. This is not the first time van Oijen has been in the news. He was the doctor who gave a lethal injection to Cees van Wendel in the pro-euthanasia documentary Death on Request. The film originally aired on Dutch TV on 10/20/94. Major excerpts of the documentary, including the actual death scene, were shown in the U.S. on the 12/8/94 edition of ABC’s Primetime Live. 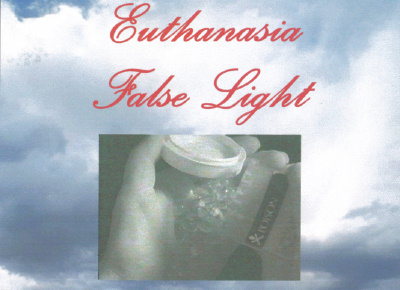 [See Dutch TV airs a real euthanasia death and Selling Death and Dignity. Belgian lawmakers have agreed on the provisions of a key article in a draft proposal to legalize euthanasia. The proposed bill would not only allow doctors to euthanize terminally-ill patients, but also those who are incurably ill with years left to live. Patients must request death; their suffering must be unbearable; and, clinically speaking, their condition must be hopeless. In all terminal cases a second independent doctor must be consulted before the patient is euthanized. If the patient is not terminally ill, then a third physician must be consulted. “We are not happy with this last requirement,” explained Leon Favyts, head of the Belgian Society for the Right to Die with Dignity. “On the other hand we do appreciate that this was the maximum attainable in the present political climate,” he added. The controversy over Robert Latimer’s prison sentence has been resolved by Canada’s highest court. On 1/18/01, the Canadian Supreme Court unanimously ruled that the man who intentionally killed his disabled daughter, Tracy, must serve at least 10 years in prison as mandated by federal guidelines. After the 10 years, Latimer could qualify for parole. The Saskatchewan farmer was convicted twice of second-degree murder, but the first conviction in 1994 was dismissed on a technicality. In his second conviction, the judge granted Latimer a “constitutional exemption” from the mandatory minimum 10-year sentence and reduced his prison time to only two years less one day. The second year, the judge ruled, could be served at home. This token sentence prompted protests from disability rights advocates around the world who held that it would send the message that the lives of persons with disabilities are less valuable than those who are not disabled, that killing a disabled person was less wrong. International Task Force legal consultant Wesley J. Smith has a new book that is literally shaking the foundation of the ivory tower called “bioethics.” In Culture of Death: The Assault on Medical Ethics in American (Encounter Books, 2000, 285 pages), Smith exposes a bioethical movement that threatens patient welfare and undermines the principles of the Hippocratic Oath. The Culture of Death is available at Amazon.com and bookstores everywhere. Have you noticed? We have a new name! If you have ever tried to say International Anti-Euthanasia Task Force quickly or tried to tell someone to go to our web page at www.iaetf.org, you probably already know why we have changed our name. More often than not people respond, “International what?” And as far as the web site goes, no one ever gets “iaetf” on the first try—most need to have it repeated two or three times. For those who have mastered our old domain name, www.iaetf.org, you can still use it to access the incredible wealth of information on our web site. The short version of our new name will be especially helpful to the media. Newspaper reporters and editors will be able to accurately identify our spokespersons without sacrificing needed print space, and TV screens around the world will be large enough for our spokespersons to be visually identified as representing the International Task Force.